What can I say about Llandudno? 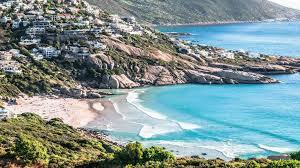 It has to be one of the most pictureque beaches in the Cape . With giant boulders and expensive homes lining this beautiful beach you are sure to get a few good waves. Having said this I should just add that this break requires an intermidiate to advanced surfing level. Please be sure to also respect the locals.